This month we celebrate the opening of the Katherine Station, jump into the 2017 Show CIrcuit, wish the nominees for the Paramedic of the Year luck, talk about the St John Ambulance Engagement Survey 2017, give a big congratulations to Justin Blomeley and the entire NT Fire and Rescue Service team, talk about the City Of Darwin Community Grants and so much more! This month we pay tribute to Marian Grayden, a long time volunteer and supporter of St John Ambulance. We also acknowledge Steve Peers for his amazing 40 years as a volunteer. We also talk about the Investiture and Awards ceremony, news on the Paramedic of the Year 2017 and so much more! May has been a month of celebrations! With National Volunteer Week and the Northern Territory Road Safety Week. We held our 3rd Biennial Charity Golf Day as well as the Investiture & Save a Life Award. We also acknowledge the great work of Lesley King who has completed 40 years of Volunteer service with St John in the Northern Territory. This month we commend Tiani Henri, 19, who received a “Bystander First Aid Award” for her attempts to save the life of a man who suffered a heart attack while climbing Mount Gillen. 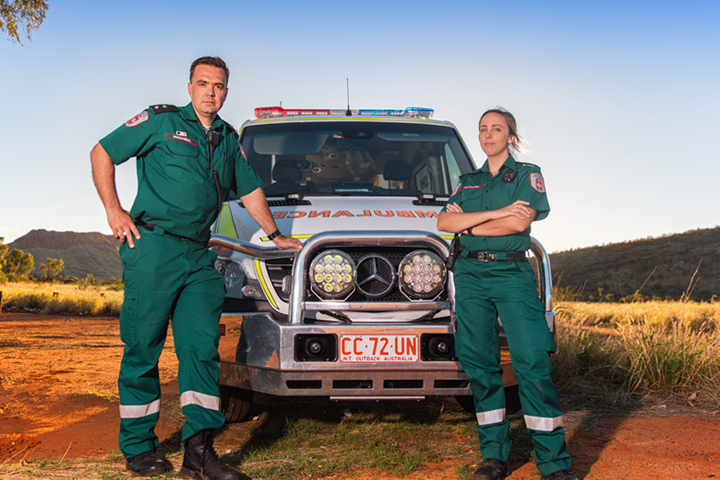 We participated in a Major Crash Recovery Demonstration in Alice Springs and nominations for the Paramedic of the Year Awards are now open!